Riding on vast volumes of expertise in this arena, we are occupied in offering Mace Spice. Our reputed clients can avail from us a quality VLC MACE, which is processed by taking optimum quality ingredients. 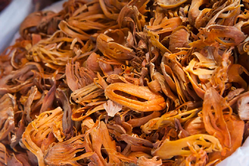 We are one of the most reliable companies in this domain and are into offering Mace Spice. Mace really shines in savory dishes. It’s often used for flavoring meat dishes, stews, curries. According to the requirements of our customers, we are engaged in offering an excellent quality range of Mace Spice to our valuable customers. This Mace Spice is well-known amongst our clients due to its light and sweet flavor. Besides, these products are available as per the precise needs and requirements of our clients. 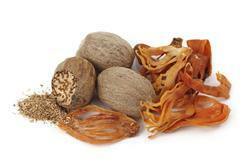 By leveraging upon our extensive market knowledge, we provide the best array of Javitri(Mace). we are a renowned name that is actively committed towards offering qualitative Javitri. Our provided Spice is available in various packaging options for our clients. Owing to the support of our hardworking vendor’s team, we present an exceptionally delicious range of Organic Mace. Customer can avail this product from us at feasible prices. Owing to the rich industrial experience and expertise in this business, we are involved in providing Mace. Mace like nutmeg is used to flavor cakes and other sweets, but mace is also used in many savory dishes. These include meats, sauces, curries, pickling, ketchup, and even Worcestershire sauce. Ground mace can be substituted in light colored sauces, clear broths, omelets, and mashed potatoes. The bright red lacy covering around the nutmeg seed. When removed and dried, mace becomes a yellow-orange color. Typically sold ground; and when sold whole, it's called a "blade." Mace has a flavor and aroma similar to a pungent nutmeg.